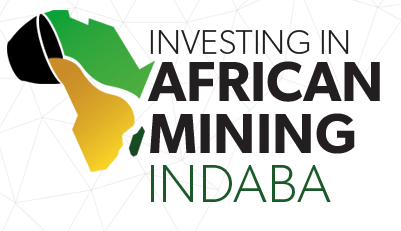 The annual Mining Indaba was held in Cape Town in early February. Stronger commodity prices underpinned a more buoyant mood this year which was reflected in a greater presence by over 50 junior exploration companies and a 50% increase in attendance by African Governments. Innovation and Sustainability were to the fore with the Inter-Governmental Forum on Sustainable Mining (IGF) hosting a well-attended series of workshops. However, a large proportion of exploration funds are being directed into near-mine activity rather than grassroots searching for new deposits. Geoscience Ireland companies exhibiting at Indaba included Mincon plc , which manufactures and distributes a range of precision engineered hard rock drilling tools for a variety of industries including Mining, Exploration, Waterwell, Geothermal, Construction, Horizontal Directional Drilling, Oil-Gas and Energy. Also exhibiting was PW Mining International Ltd (PWMIL); based in Ghana, PWMIL provides building construction and contract mining services across West Africa. Other GI companies attending were PW Nigeria, ERM and SLR Consulting. Ireland’s Ambassador to South Africa, H.E. Liam McGabhann was the guest of honour at a Networking Lunch hosted by Enterprise Ireland. He was optimistic as to future political and economic developments in Southern Africa, following recent and imminent regime changes in the region. 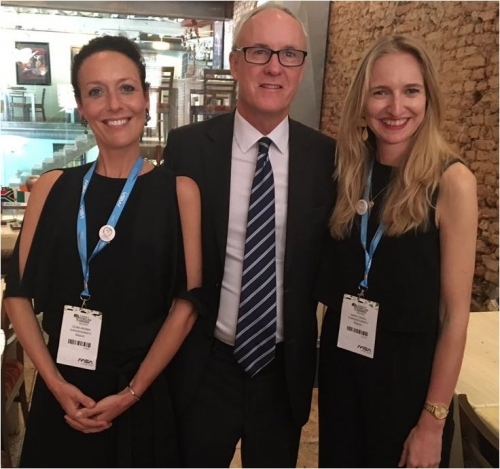 Also present at the lunch were Celine Andrien and Nancy Savall of EuroGeoSurveys which is supporting a capacity building project called “PanAfGeo”in collaboration with the Organisation of African Geological Surveys. Water shortage was the big local story. Conservation measures and ancillary supplies have deferred “Day Zero” ( i.e. no mains supply) from April to June but drought conditions and under investment in water infrastructure mean that this story will be current for some time. Water supplies remain a major challenge on a global scale; GI member companies are active in this sector in over 20 countries, including many in Africa.